Thank you for listening to the Brain over Binge Podcast. 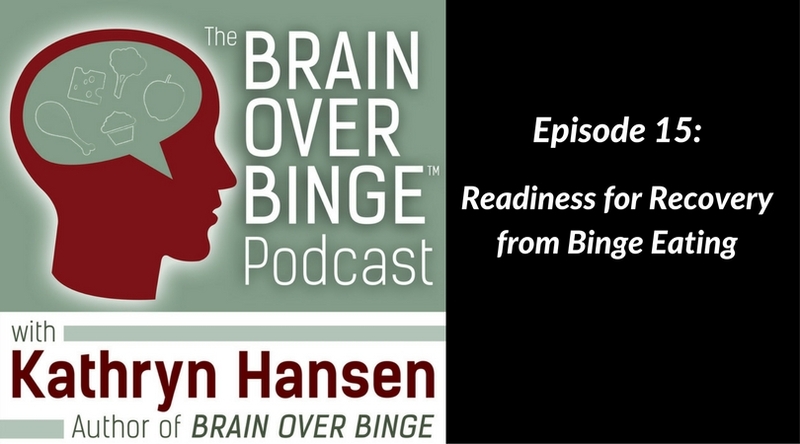 In this episode, Kathryn discusses the topic of being ready for recovery. It’s possible you may need to work on an area of your life or another problem in order to prepare for dismissing urges and eating adequately; but most likely, you are ready for recovery just as you are right now. It’s important to view recovery readiness in a practical way, and also to know that “you aren’t ready” thoughts can be neurological junk as well. You can get the Brain over Binge Independent Study Course plus After Course Support for a discount until May 1st, 2018.